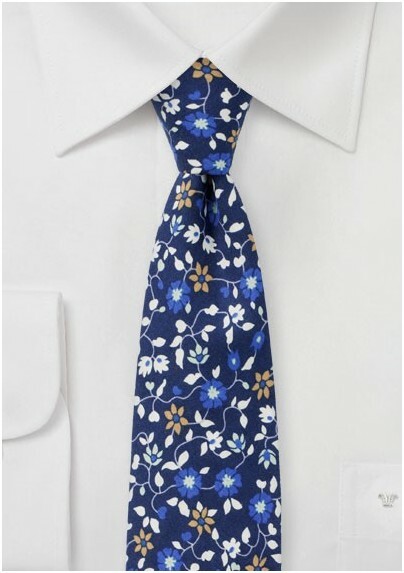 A fun new addition in BlackBird's new floral collection is this blue and white tie featuring blossoming vines. 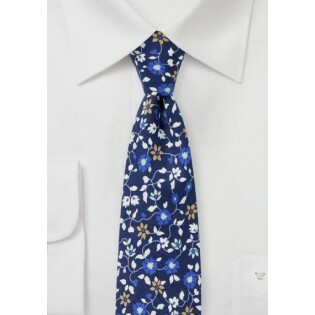 A fantastic tie for fitted summer suits in tan, indigo, light gray, and navy. Also available in a red as well as pink color palette. Handmade using finest printed cotton and cut in a modern width of 2.75 inches.